Emus are big, fluffy, flightless birds indigenous only to Australia. They are also the biggest dufuses in the animal kingdom, and are constantly getting themselves caught up in all sorts of tomfoolery, which is documented in obscure subreddits. Now, Australian researchers at Monash University might have found another reason to love these giant goofballs—a gene that appears to control their wing development may one day help humans born with limb abnormalities. 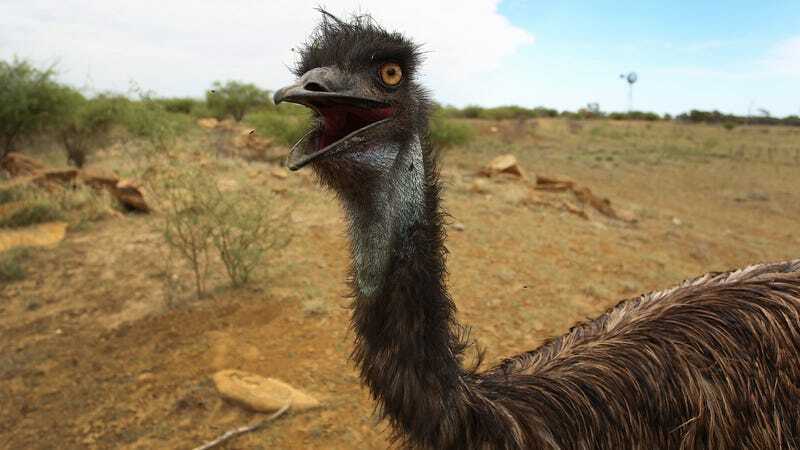 Emus come from a group of running birds called ratites, which includes the oldest modern living birds. While they have wings—just eight inches (20 cm) in length—the big birds don’t use them for flying. According to Parks Victoria, emus use their wings for cooling down in the Australian heat. Through sequencing genes found in emu embryos, the team at Monash University found one called Nkx2.5, which is apparently activated during wing development. To test the idea that this gene might have something to do with the wings’ diminutive size, the researchers inserted Nkx2.5 into chicken embryos. Lo and behold, the birds developed tiny, emu-like wings instead of larger chicken wings. The team’s research has been published in Nature Communications. According to the scientists, this discovery could have significant biomedical implications. The Nkx2.5 gene is also found in humans, and mutations to it can cause heart malformation diseases. Understanding how to manipulate it could help prevent abnormalities in human development. Clearly, much more research needs to be conducted before we fully understand the role of this gene, much less manipulate it to treat health defects in people. Still, it’s not wrong to say that emus are already pretty magical, and this is just more proof.